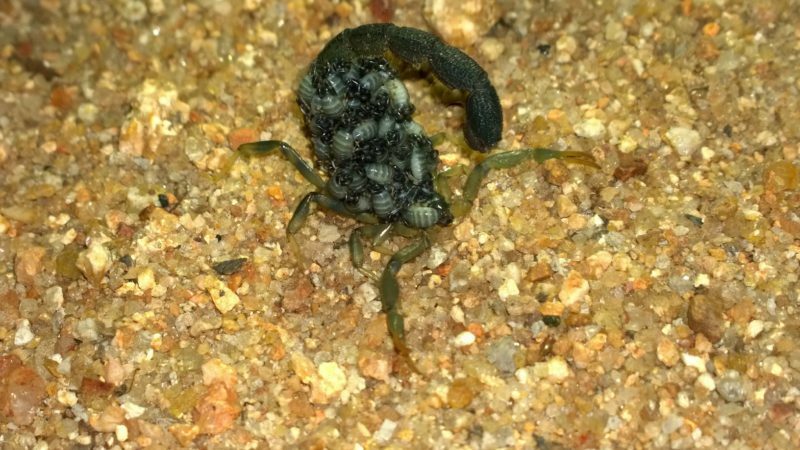 General Manager, Gary Ray spotted this rather rare & unique sighing of an Olive Bark Scorpion transporting her babies in camp. These scorpions are part of the Buthidae family, and their stings are extremely painful. Although common to the area, they are seldom seen as they prefer to hide under debris in the gardens.